Nestled in the plains of Litchfield, Maine, Davyd & Jenny Collinson's farm is a breath of fresh country air to its inhabitants. 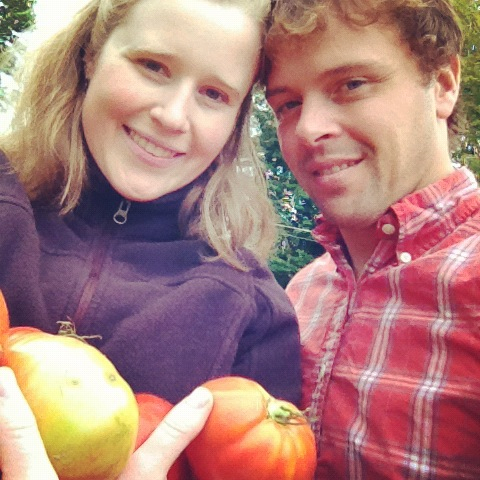 Sitting atop a hill above the quaint downtown of Farmington, Maine, you would never guess that behind it's proper townhouse exterior, Jonathan and Margaret Collinson's farm is abloom with fruit trees & berry bushes, a healthy garden, and a tiny herb garden tucked in beside the barn. These farms are places of growth and abundance. The people who dwell there, as well as their animals, are grateful for a lifestyle that allows them to eat well, live well, and share the fruits of their labor. Sign up below to subscribe to our email list to keep in touch!